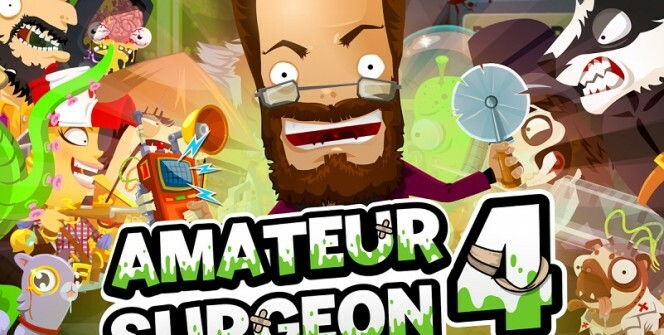 Developed by Adult Swim, Amateur Surgeon 4 is a simulation game that requires you to perform surgery on hundreds of people with household tools like pizza cutter, chainsaw and ointment. After coming back from the dead as Dr. Bleed (pioneer of amateur surgery), you are required to span the globe saving lives and looking for medical answers. 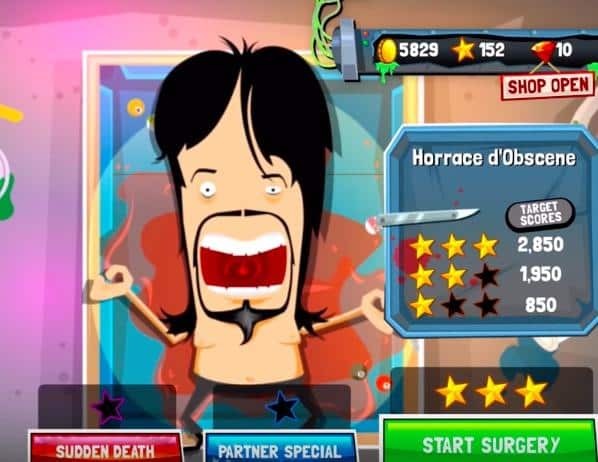 The mobile game is developed for Android and iOS devices, but it can be played on a PC as well. You are supposed to do this on level 7 which is one of the challenging levels in this game. You need to use tongs to remove nails and coin and treat the cuts with staple, ointment and cauterization products. You also need to scan the patient and vacuum blood to keep your room clean. In order to treat this patient effectively, you need to use a chainsaw to make an incision along some dotted lines and use tongs & magnets to pull out all the objects causing the harm. The next step is to vacuum up splatters and treat the cuts using ointment and cauterization products. Finally, you need to close the incisions. This patient has some tracking sensor chips inside his body, and you are supposed to make incisions and use the lighter to burn off the chips as you vacuum the fire. You can also use tongs to remove the pieces as you vacuum the splatters. The last surgical procedure is to staple and treat the wounds. As you make cuts on this patient, some ants will pour out of the cuts interfering with your surgical process. In order to kill these insects, you need to zap them with a car battery or close up their way- the incision. While killing the ants and treating the cuts, you need to keep an eye on the heart rate and collect some gems to increase your score. This is another surgical procedure that will require you to use the lighter and tongs. After making incisions on the patient, you need to use the lighter to defrost the ice and the tongs to remove the diamond pieces. Other tasks include: killing bugs with a car battery, cleaning up splatters with vacuum, treating wounds and closing the incisions. These critters will appear when making incisions, and you can use the chainsaw to kill them and the tongs to remove them from the body. After dealing with the critters, you can treat the wounds, vacuum splatters and close the incisions. This is a complicated process as it requires you to remove a number of objects from the patient’s body, including cubes, debris, large metal pieces and helicopter book. There are a number of tools and equipment to perform the process, including tongs, vacuum, scanners, chainsaw, lighter and ointment. With an Android emulator on your laptop or desktop, you can download the game app on your PC. Playing the game on your computer will be quite enjoyable as you will be using efficient controls and watching on a bigger screen. Sometimes when playing Amateur Surgeon 4, bluestacks ask you fee to pay but gives you option to download some apps. Every time it asks you just select “Install apps” and continue using it free. I hope you enjoyed this article, please rate and share. 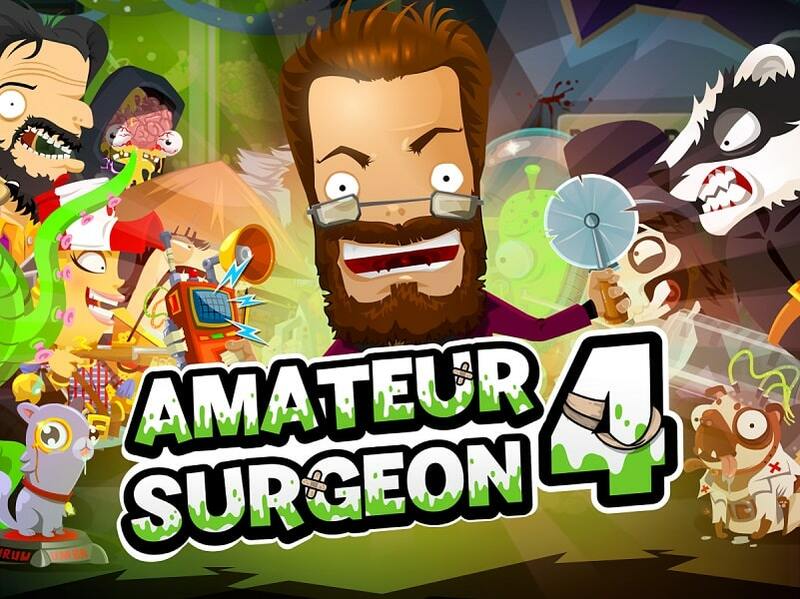 If you have problems running Amateur Surgeon 4 on desktop or any other issues, leave a comment below.